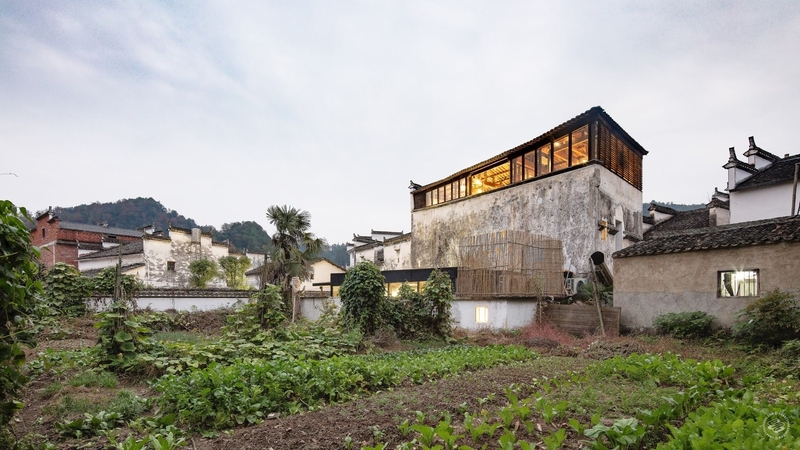 Zooming out to Jiangxi on the high-speed train to check out a 300-year-old house turned hotel. Ed Gawne wasn’t yet 30 when he quit Shanghai. He had a boring corporate job and bad Chinese, and decided he’d follow his girlfriend back to Jiangxi for a while to go back to school. The problem came when the year was up and it was time to go back to the big city. He didn’t want to. He and Selina delayed by touring the province, where she was born and raised. 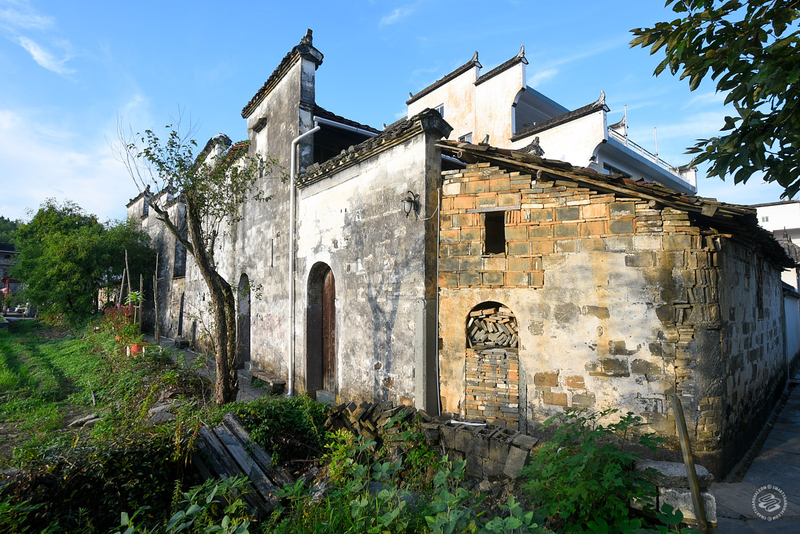 Around Wuyuan, a collection of small villages that used to be part of the rich merchant area of Huizhou, they came across some bed-and-breakfasts in ancient houses. They thought they could do it better. 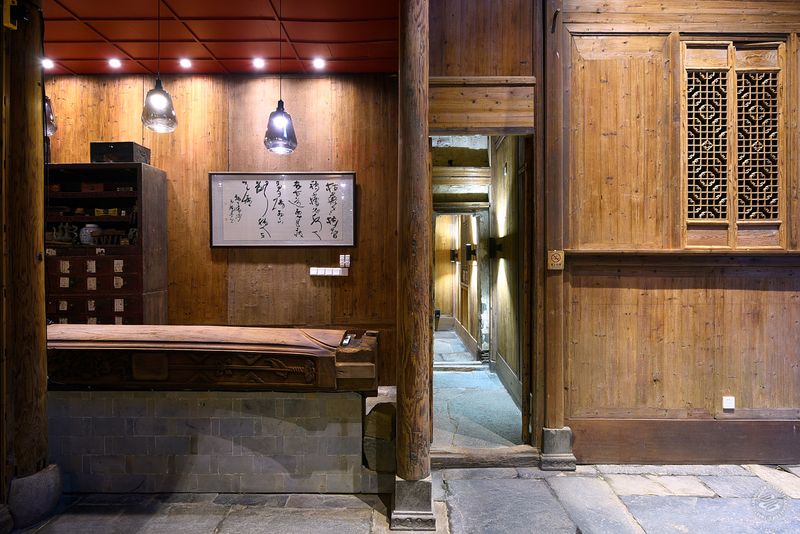 They bought a decrepit 300-year-old courtyard house full of beautiful woodcarvings, brought in architects anySCALE Beijing, the local woodworkers and traditional construction teams, and re-did it. What started life as a business inn for a merchant then, at one point, became home to a wealthy spinster who took in orphans in the early 1900s, and eventually ended up as the work office for the commune in the village. 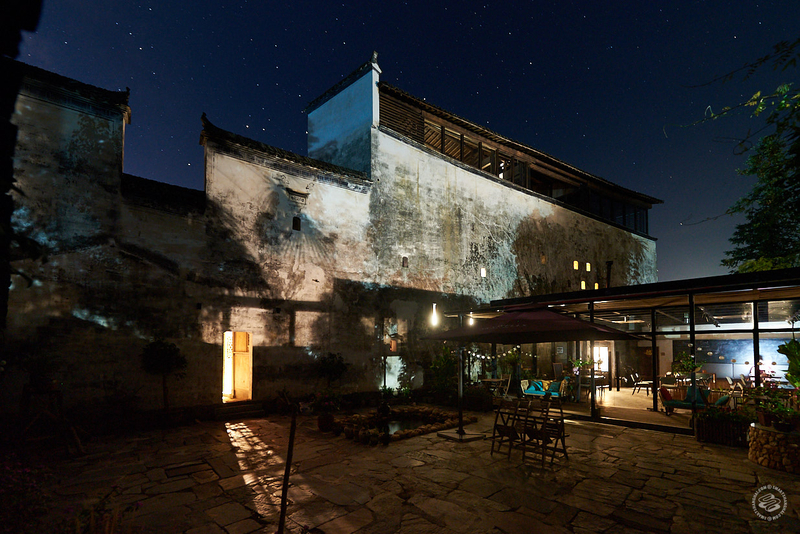 It’s now known as Wuyuan Skywells, a 14-room hotel, and they just celebrated their first anniversary. 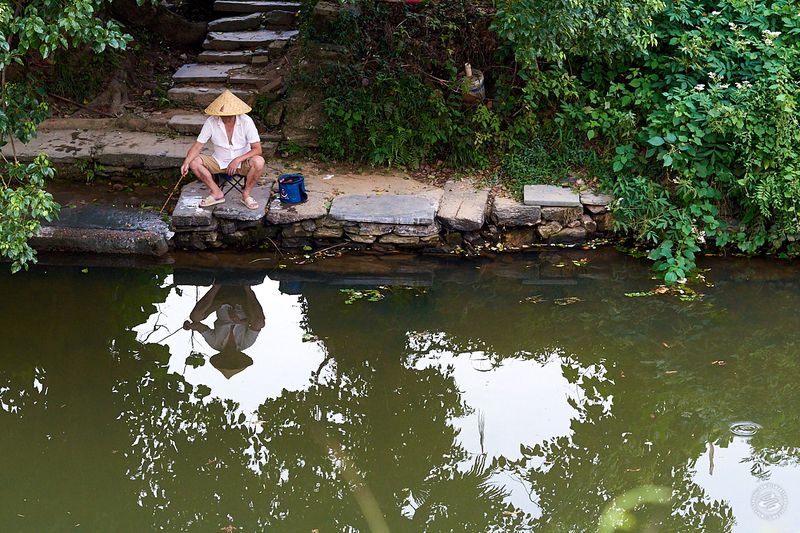 I went to stay for a few nights, hanging out with Ed, a phenomenally friendly and encyclopedic source of both hyper-local history and the broader China context that it fits into, borrowing his mountain bikes to cycle around the rice and tea fields and then go splashing through waterfalls on a muggy summer afternoon. 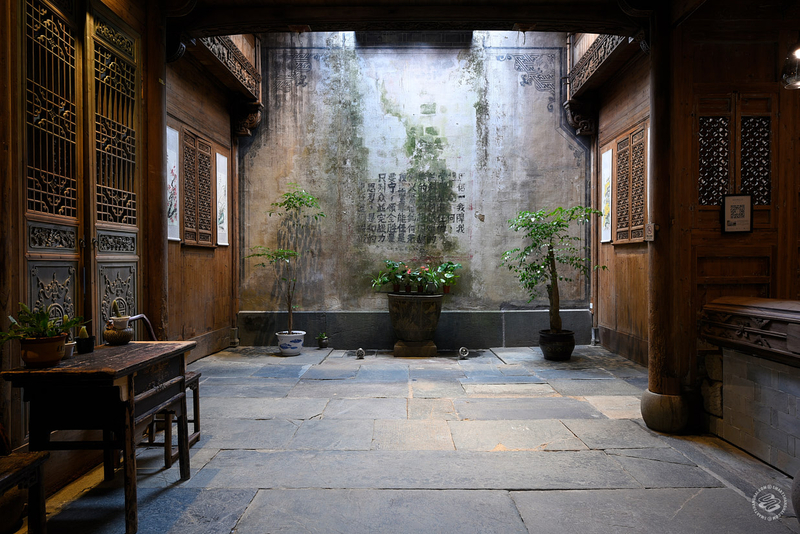 The house is in a village of about 100 families, named Yancun, and is full of Ming and Qing houses. 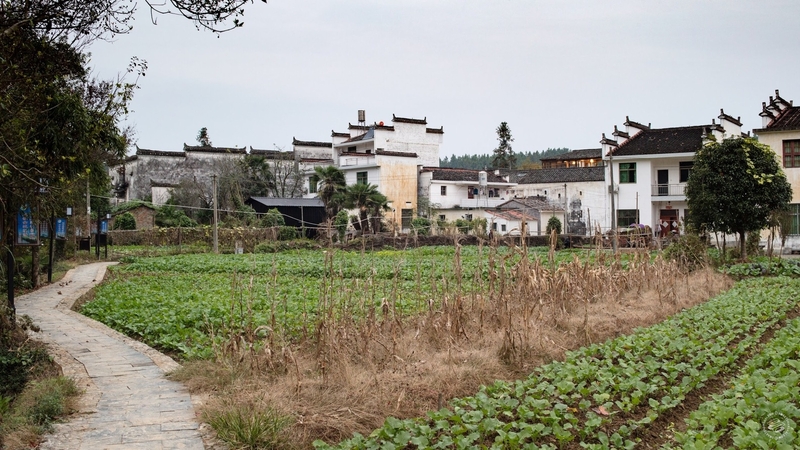 There is a nominal entry fee for the village, as there is at most villages in this corner of Jiangxi, though outside of the peak tourist seasons (March/April for the yellow rapeseed bloom and October for the National Holiday) it’s rarely enforced. Yancun is still primarily residential, with just a few other inns (none nearly as nice) and one or two residents selling snacks and soft drinks out of the first floor of their homes. It’s a refreshing break from the commercialism that has sprung up in some of the other more well-known villages. Ed’s third-floor lounge was not part of the original design of the house but is a comfy living room to wind down in at the end of a day exploring the area. Inside the house, slogans from the 1960s and 1970s era of political upheaval mark the wall, exhorting workers to keep on. 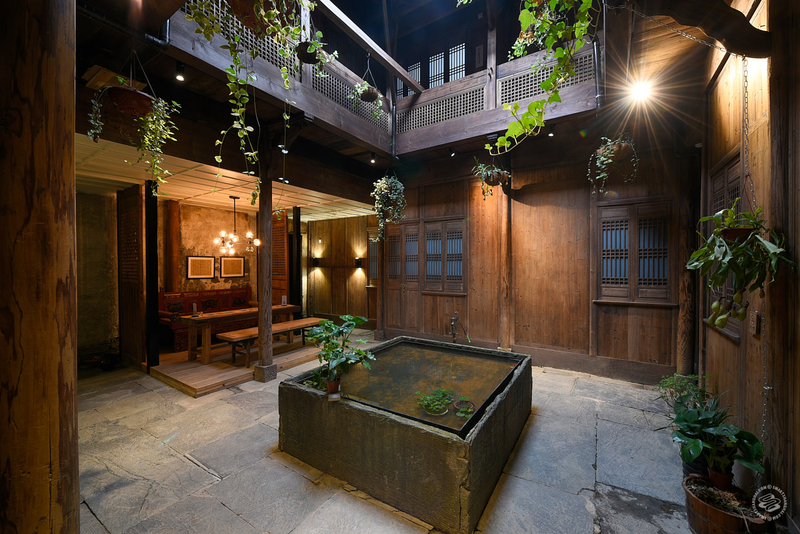 On the ground floor, a small tea-drinking area overlooks one of the skywells, an open-air roof that let water, sunlight and fresh air into the sometimes stuffy houses. 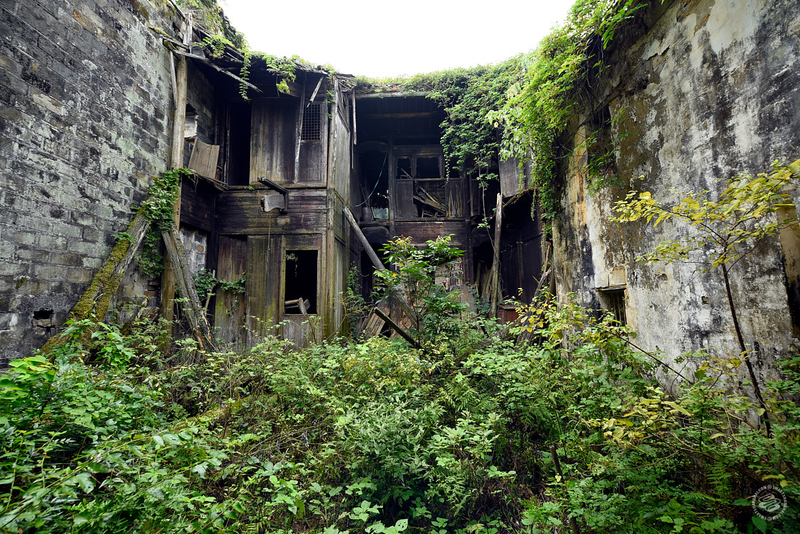 They were built with massive walls, tiny windows and high roofs in order to keep robbers and thieves out -- this part of the country was particularly overrun with bandits, and merchants were often away from home for long stretches of time. 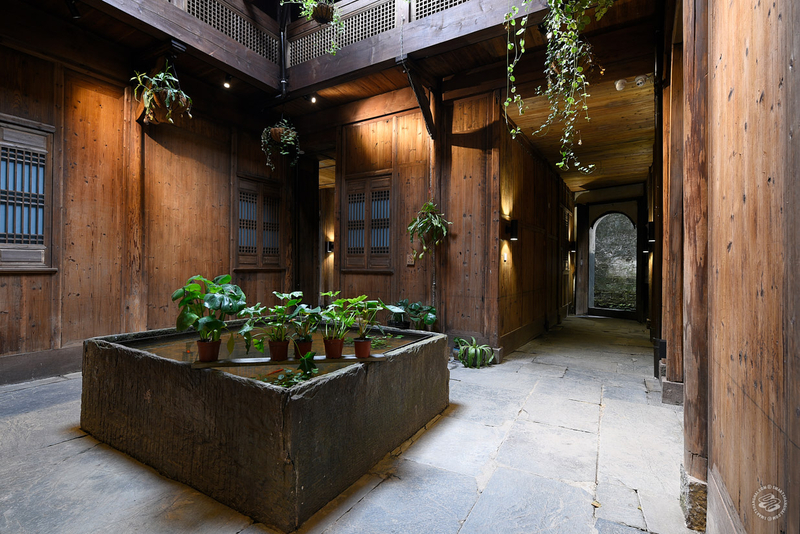 The interiors were often built with wood milled from camphor, red maple and cypress trees, harvested from the mountains just behind the village. Much of the interior wood in the house is original, dating back hundreds of years. The politics of the 1960s and 1970s were not good to the houses. 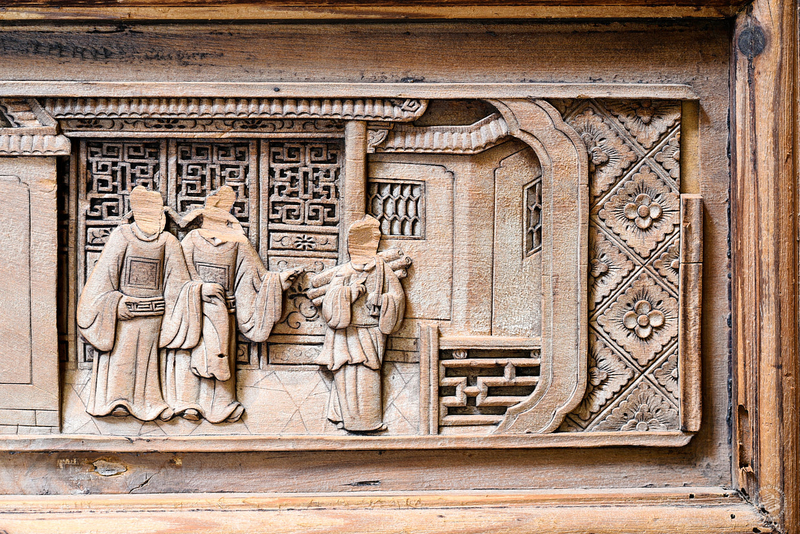 Though Ed and Selina chose to restore or replace most of the woodcarving that were damaged by overzealous Red Guards, they left this small scene, with the human faces chiseled off, as a reminder of what the house has been through. 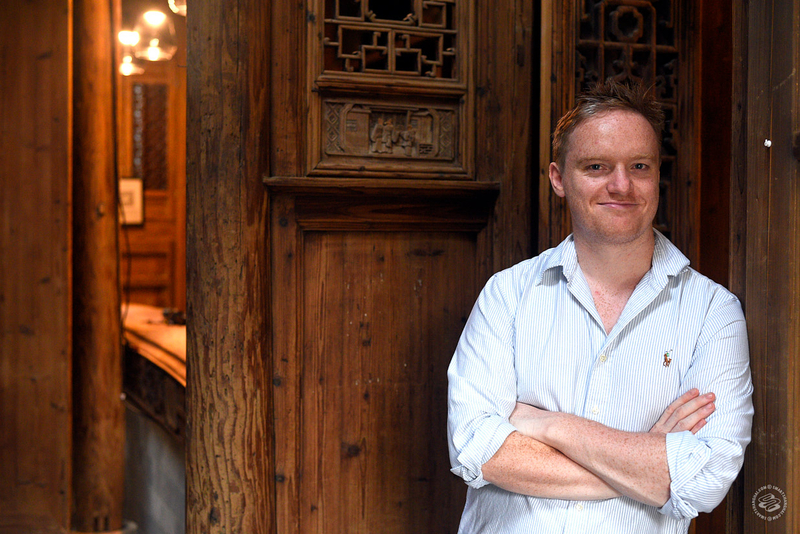 Ed was a bartender in fancy cocktail bars in London before he arrived in China, and had a 300-year-old beam from the house turned into his private bar on the ground floor, where he makes cocktails for guests. 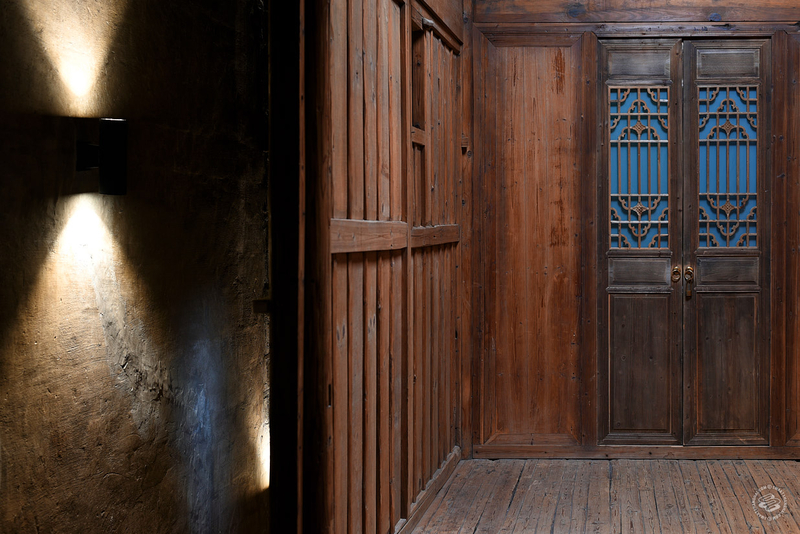 This part of the house, also on the ground floor, was originally a series of small apartments that would have been given over to visiting merchants, who traveled long distances and would stay for a week or two. They are now guest rooms. 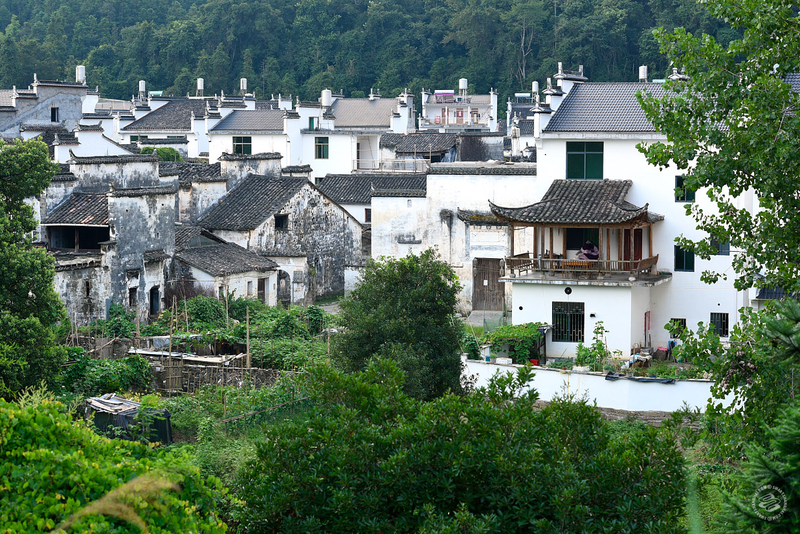 A five-minute bike ride away from Yancun lies the slightly bigger village of Sixi, where they charge a 60rmb entry fee year-round. 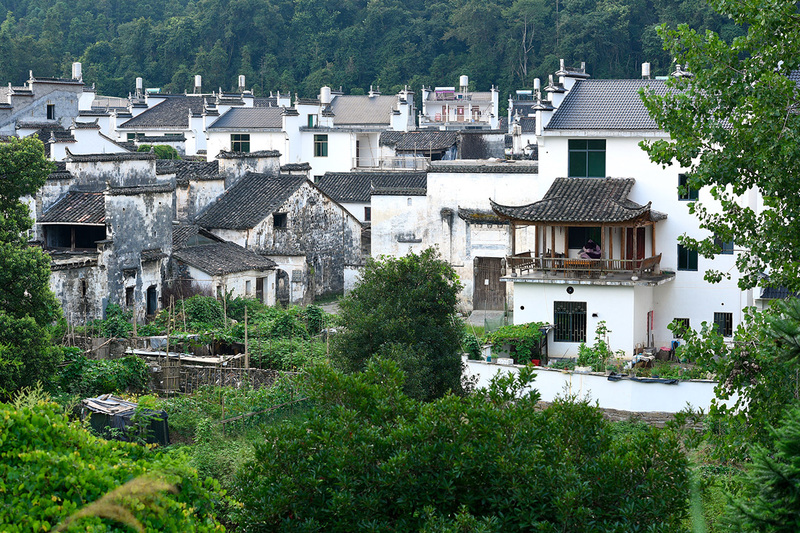 Sixi is a mix of new and old Huizhou-style homes, with the classic black-and-white colors of the region. 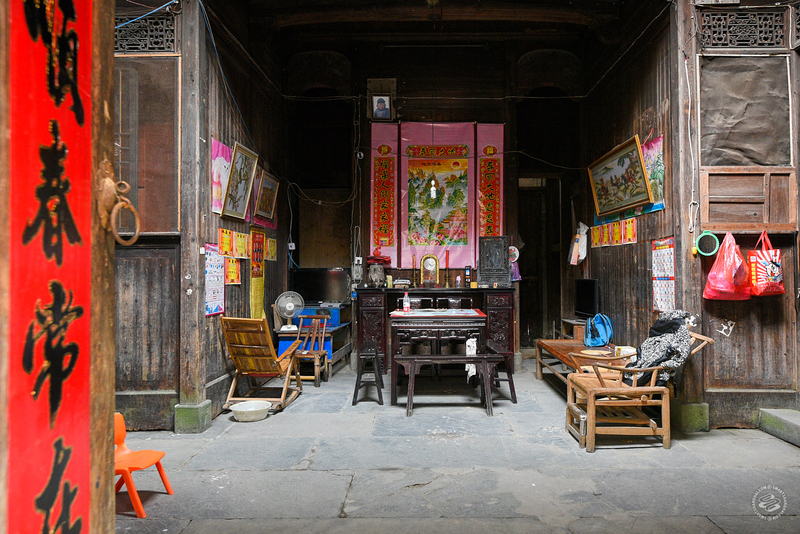 The traditional ancestral altar in the center of an un-restored courtyard, with a clock, a candle, and way up in the upper left corner, a picture of a now-gone grandma. Many of the houses are falling into disrepair as socio-economic pressure empties out these rural villages. Hanging out by the creek in Sixi. 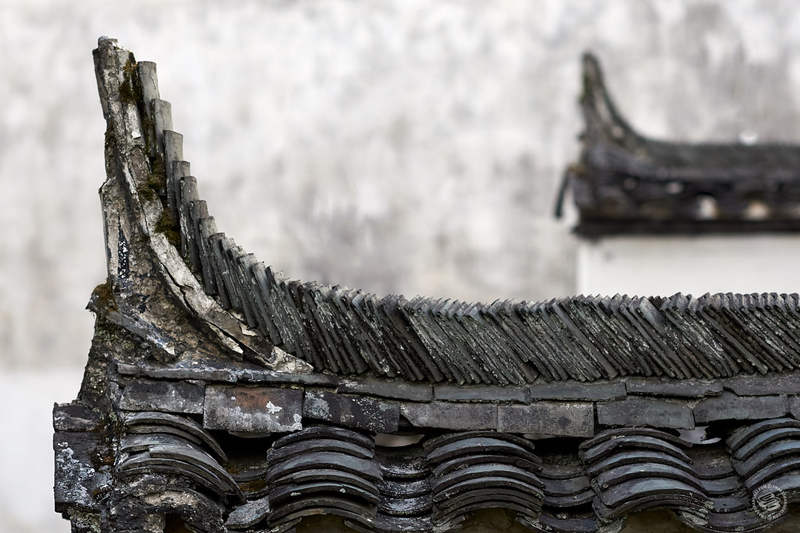 Classic Huizhou black tile roof. A typical street scene in Sixi. 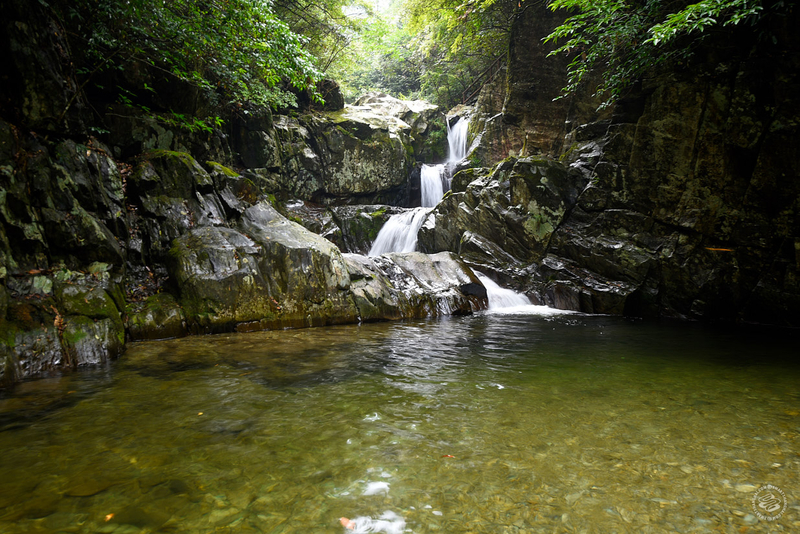 A typical waterfall scene about 45 minutes away from Yancun. Ed brought us here to swim in the pools in front of the waterfalls on a hot summer day, and apart from a handful of local tourists, we had the place mostly to ourselves. 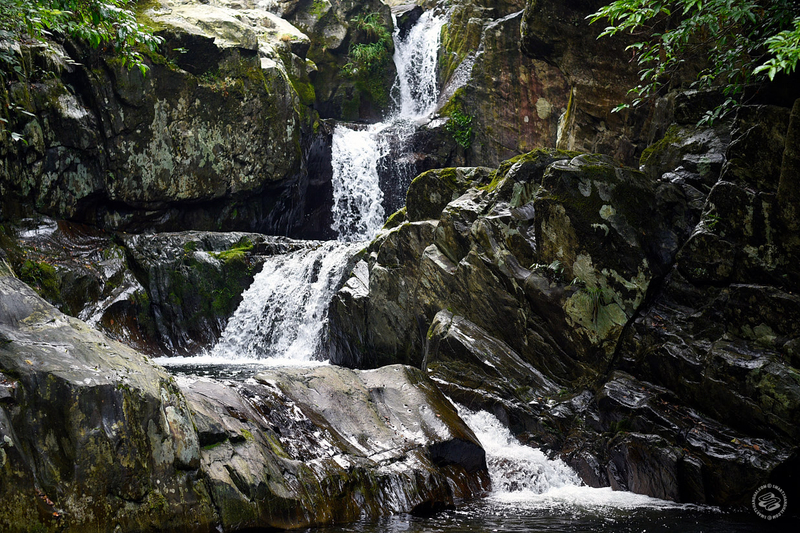 A concrete staircase winds its way up the mountain and past endless waterfalls and dozens of places to swim. The night sky view from Ed’s garden, where he spends most afternoons puttering and exercising. 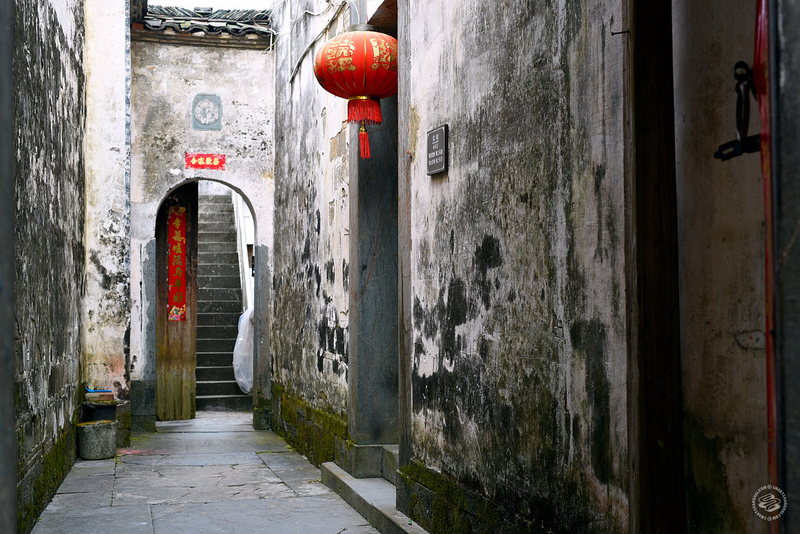 Wuyuan Skywells is a four-hour door-to-door journey from Shanghai as of summer 2018, but this will be shortened to about three hours when a new high-speed train route opens in late 2018 or 2019. For now, trains leave Shanghai Hongqiao and go to Wuyuan station multiple times a day. First class seats, which you will want for the extended trip, are just over 400rmb, one-way. 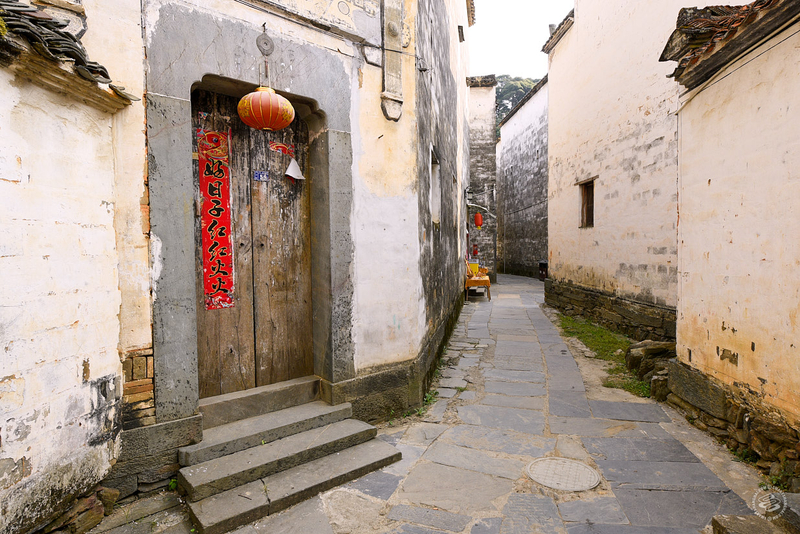 To get from Wuyuan train station to Yancun, Ed recommends arranging a car in advance with a driver who knows where the hotel is (it’s not easy to find the first time) – his recommended driver charges 50rmb for the 20-minute trip. 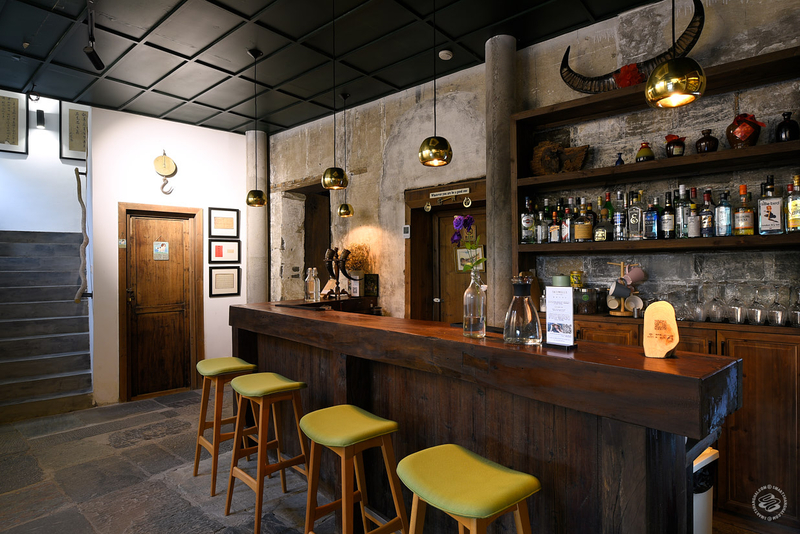 Rooms start at about 650rmb and can be booked on Booking.com. To read more about Ed, Selina and their house, click here. Kudos to him, the house looks good and I wish him and his girlfriend the best. But, this story is basically a synopsis of what plagues China tourism recently. Let's see, 400 rmb to get to the local train station, plus 50 rmb taxi, plus a 60 rmb village entry fee perhaps, total 510 rmb. 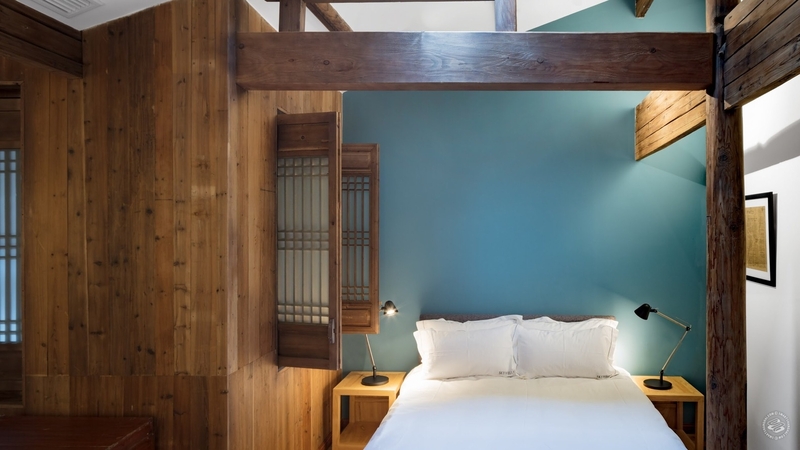 The rooms start at 650 rmb and I'm sure they go up to 800 rmb for the really nice ones. And the view will be some fields (if you're lucky), or some decrepit buildings or some brown-colored river. Or, for 900-1000 rmb one can fly from Shanghai to Bangkok or Chiang Mai and stay in a 3-4 star hotel (or really nice airbnb) for 150-200 rmb a night. Chinese tourists of course have been doing the same calculations over the past 5-6 years.